The nobility letters of the Autréau family from the sweet village Champillon (First Growth) go back till 1670. Old archives proved that all members of this family were born and have lived in Champillon and practiced the art of winegrowing. Precisely the same year as the world-famous priest Dom Pérignon was born in the nearby city Sainte-Ménéhould, becoming the godfather of the Champagne. Gérard and son Eric are also keeping up with this tremendous tradition and refuse but the slightest abandonment on the area of the quality. Originates from their 28,5ha wavy and sundrenched vineyard in and around Champillon. 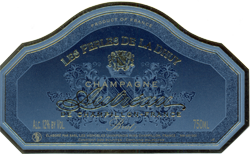 In which the 40% of the tough and noble Pinot Noir adds depth and a rich aftertaste, while another 40% of Chardonnay adds the full and intense aromas and the last 20% Pinot Meunier vouches for frivolous subtlety, plus that so necessary touch of "fraîcheur", through which this Champagne excels as perfect aperitif. This formidable Rosé First Growth is assembled from 85% Chardonnay and 15% Pinot Noir and is sturdy and full champagne with a lovely touch of red fruits. This Rosé Champagne is so complex and at the same time full of subtlety. It’s very tempting in the start and so grandiose in the aftertaste. This sparkling champagne and elegant Blanc the Blancs first growth combines the smells of citrus, dried flowers and cakes with a grilled undertone in the final. 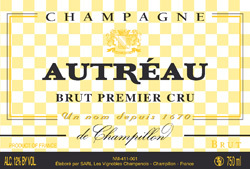 This Champagne is as well a "millésime" (Vintage) as a “Grand Cru” (First Growth). What do you want more?.. 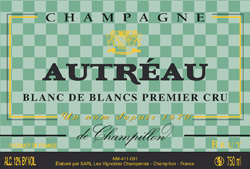 Named to a sun-drenched hamlet in Chouilly (100% First Growth), originating from 85% Chardonnay (what an aromas, what a subtlety) plus 15% Pinot Noir (a fabulous aftertaste), is this an absolute number one amongst the biggest Champagnes. At the same time it is a beautiful white wine with an explosive power and elegance that reminds you of the galloping of a pack of wild horses in the moistly desert of the Camargue in Southern France.